One Oxford Centre is a mixed-use office and retail complex located in the Grant Street corridor of downtown Pittsburgh. Designed by Hellmuth, Obata & Kassabaum, the tower is one of the most recognizable in the Pittsburgh skyline – visible from any angle and set apart by its octagonal shape, unique silver façade, and layered upper levels. The continuous window line offers abundant natural light with unimpeded views of the city. 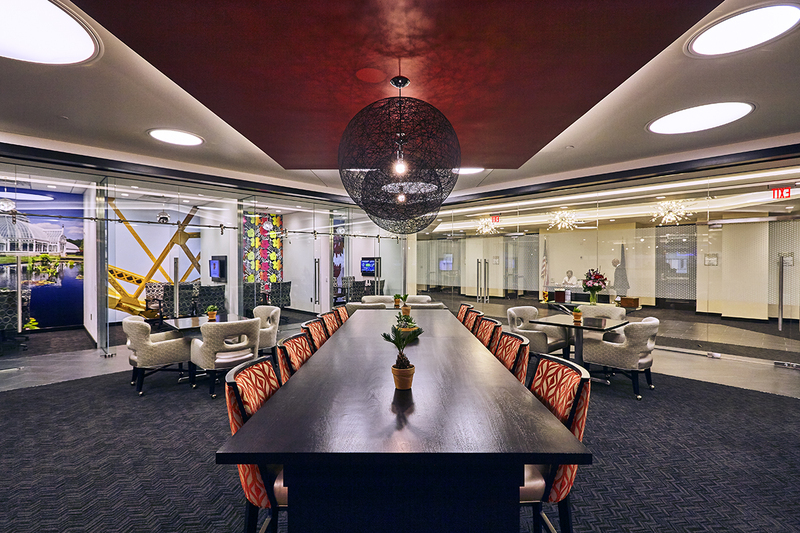 Expansive, column-free floor plates allow for flexible configurations from traditional office, to open collaborative work spaces. The Property offers tenants one of the most complete amenity packages downtown, including an above-market parking ratio, numerous dining options, and the Rivers Club, a 73,000-square foot fitness, dining, and social club. 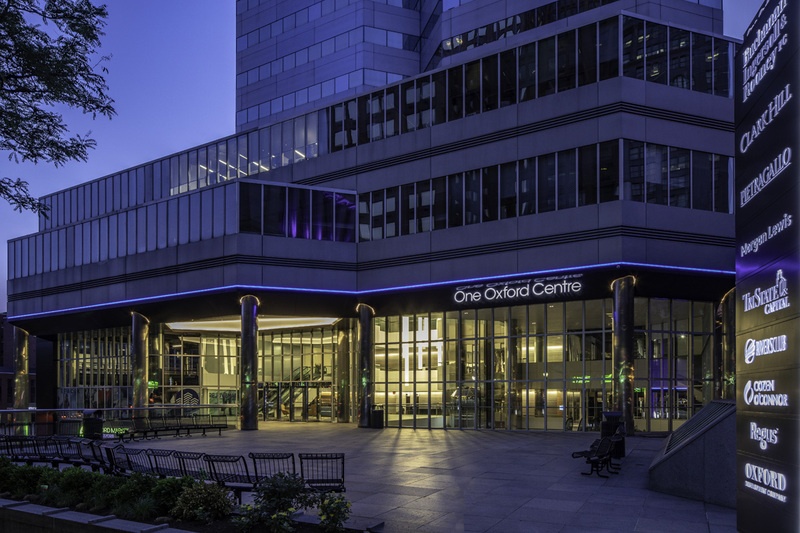 The Atrium on Grant Street is the primary entry point to One Oxford Centre, which also has entrances on Fourth Avenue, Cherry Way, and Smithfield Street, as well as access from the attached 8-level parking garage. The five-level atrium is an open, naturally lighted area with perimeter restaurants, shops, commercial office space, and the Rivers Club. We are in the midst of upgrading The Atrium including a new food hall and conference amenities. One Oxford Centre is located at the intersection of Grant Street and Fourth Avenue in the Central Business District of Pittsburgh. It is one of the most accessible office assets in the metropolitan area situated just off the Parkway (I-376), which is the most prominent highway in the Pittsburgh metro, linking downtown with the airport and the remainder of the interstate system as well as access from all eastern, western, and southern suburbs of the city. Access to Interstate 279 is less than a half mile from the Property and connects the Downtown CBD to the northern suburbs. The Property is also located two blocks from the First Avenue T station on the light rail system. We are currently renovating the Atrium with a new food hall to include a variety of international cuisines and specialty concepts expected to appeal to building tenants, downtown residents and commuters. 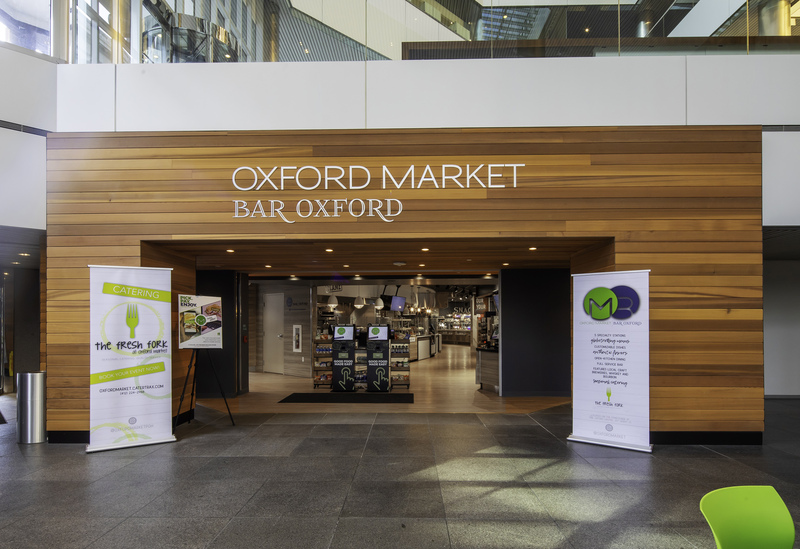 Oxford Market will also feature Create Exhibition, a venue for chef demonstrations, wine tastings and other daily events where we partner with popular local restaurants and celebrity chefs. Located in the heart of the city, overlooking the Monongahela River, Rivers Club offers busy professionals a first class dining and health club experience. Established in 1983, the Club developed a non-intimidating, personalized atmosphere where Members feel comfortable and confident, not self-conscious. We are proud of our diversity and our Members include Pittsburgh’s civic, social and business leaders. Rivers Club is a Private Business and Sports Club made up of formal and casual dining areas, seven meeting rooms (including ballroom seating for 300) and full athletic facilities. Technological enhancements include video conferencing, teleconferencing and wireless internet access. The athletic level, redefined by a $1.6-million renovation, offers Yoga, Pilates and Precision Cycling rooms in addition to cardio and strength-training equipment with Cardio Theatre. We also offer a flourishing River’s Edge Sports Bar. The Conference Center is part of the Rivers Club and is great for hosting social and business events. There are seven meeting rooms including a ballroom, pre-function space, with state-of-the-art audio/visual and catering services. The ballroom can comfortably seat 300 guests. The Rivers Club Fitness Center is a high-end health club with an extensive line of amenities and services including personal training, group classes, nutrition and wellness programs, massage, and more. 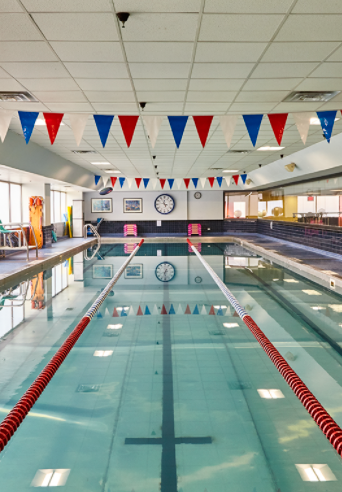 The club includes a pool that offers swim programs and lessons, squash courts, a yoga studio, and locker rooms with laundry and shoeshine services. An upscale restaurant in an inviting atmosphere for entertaining and special occasions. A u-shaped bar and communal lounge area with a media wall of flat-screen TVs where you can watch the game – all with spectacular views of the Monongahela River and Mt. Washington. This is your grab-and-go choice for a quick breakfast or lunch. The wifi café also offers fresh smoothies and made to order beverages. Located on the Plaza Level behind the escalators. One Oxford Centre’s parking garage has 840 spaces, and is flanked by two additional parking facilities, the Allies’ Garage and the Macy’s Garage, with an additional 1,600 spaces. 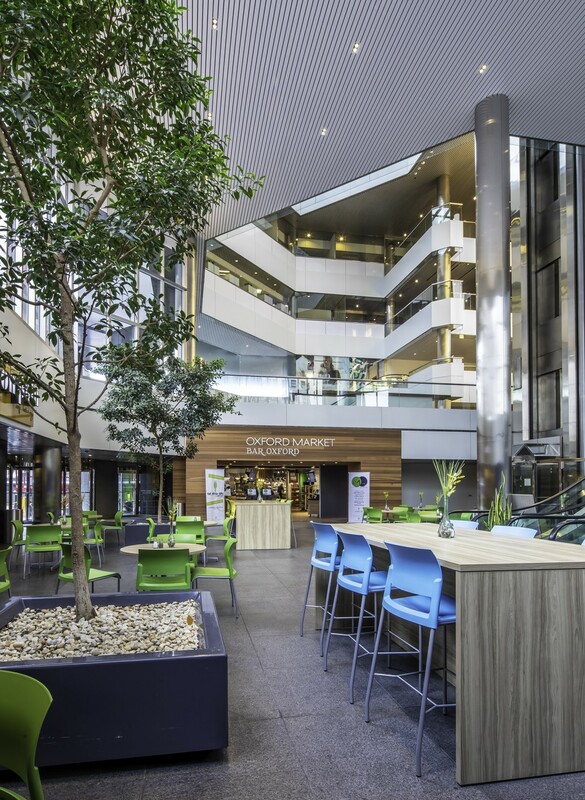 All of these parking facilities are connected by sheltered walkways, with elevator access from the central garage to The Atrium of One Oxford Centre.